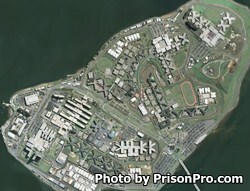 Rose M. Singer Center is located on Rikers Island in East Elmhurst New York. It is a jail that houses female inmates and even has a twenty five bed baby nursery. The current capacity of this facility is 2,017 inmates. Offenders are usually housed here for short terms while they await trial or to serve out a jail sentence of less than one year. While incarcerated inmates are provided basic amenities and given medical care. Due to the short period of time inmates stay here their are limited programs available.